Allwave lasers社 Pluggable CWDM Laser Diodes | Allwave lasers | レーザー機器　専門商社｜株式会社アルクゥズ　ALQUZE Inc. Product Description: TOSA lasers are 1.27 μm~1.6lμm Multiple Quantum Well (MQW) structured distributed-feedback (DFB) laser modules. These laser diodes are built in a pluggable T056 package with monitoring PIN-PD for fiberoptic communication systems. These modules are ideally suitable for 2.5/10Gbps transmission applications. 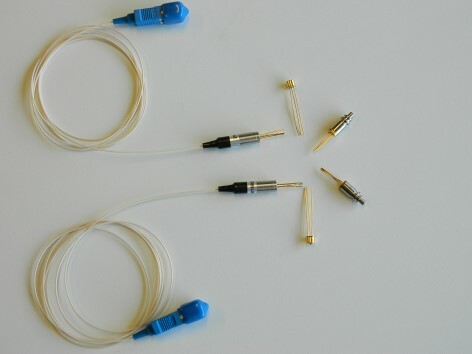 Among products, 4 products of 1.27um, 1.29, 1.31um and 1.33um are suitable for 10Gbps transmission. The products are Telcordia GR-468 qualified, and in compliance with RoHS requirement.